Hold Firm to your vision: Even when others tell you it’s foolish or unreachable. Train Your Mind to focus on your vision: This doesn't mean be blind to issues but don’t allow the problems to distract you from the objective. 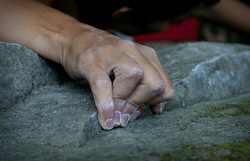 Grow Stronger: Constantly improve your skills and knowledge, constantly question and analyze especially after failure. Change: Be prepared to change 180 degrees if you are wrong, accept your failures. Be Reliable: Be there, be seen trying, be consistent, and demonstrate that even small steps are still results delivered and failures lessons learnt on the journey. Complete the Task: Finishing the job requires the courage to hold your vision, an ability to think through and overcome obstacles and to persist when others would walk. Never Ever, Ever, Give Up: Keep at it despite the obstacles, despite negative comment, despite the odds. I had the pleasure of singing for Hoss Olson last month, as he surprised his girlfriend, Kimberly Beckmann, at Great Clips, by getting down on one Knee and proposing to her. We had set this up for months in advance. He wanted me to sing 2 songs to her before he "popped the question". First I sang "I'll Be", by Edwin McCain. Little did Hoss know at that time, that this was the song I auditioned with on America's Got Talent. 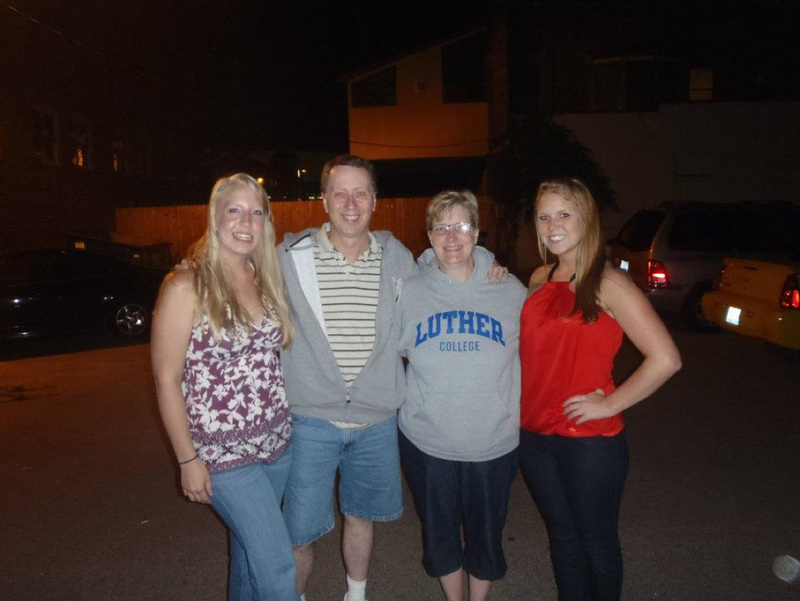 When he found out a couple weeks before the big day, he said he felt like it was fate. "You're the perfect man for the job", Olsen said. The second song was "Falling in", by Lifehouse. As you can see in the picture flow of the event above and in the video below, we had to sneak into the salon, with the help of a Great clips worker. I had my guitar slung on my back, like I was armed with a weapon of love to shoot off songs that helped to make the event special. As soon as we walked in the door, I started to play and sing. The cool part about it was the element of surprise and the progression of realizing what was happening on Kim's face. It was like Kim thought this was just a neat surprise at first, to show her that she meant more to him than what a gift of flowers could say. As I sang, Kim started to realize that this was more than just an original gesture of love and appreciation. With camera crew, Sheboygan Press and Great Clips customers in attendance, she soon started to realize, as she teared up, what Hoss was up to. I recorded one of my favorite songs to sing at a wedding ceremony when the bride takes her walk down the aisle. I sung this song at one of our best friend's wedding (love you Rey & Brittney) and I recorded it tonight to give a sample to a new bride to be so I can sing it at her wedding. I think it turned out really well, so I posted it on my home page and here in this blog - I wanted to share it with everyone to get some comments - what do you think? If you're not married yet, what song do you or your future bride to walk down the aisle to? There is a new booking widget on the homepage of my website to request a quote for a gig. I have been using Gig Salad for some time now, and it&apos;s a great tool for musicians! 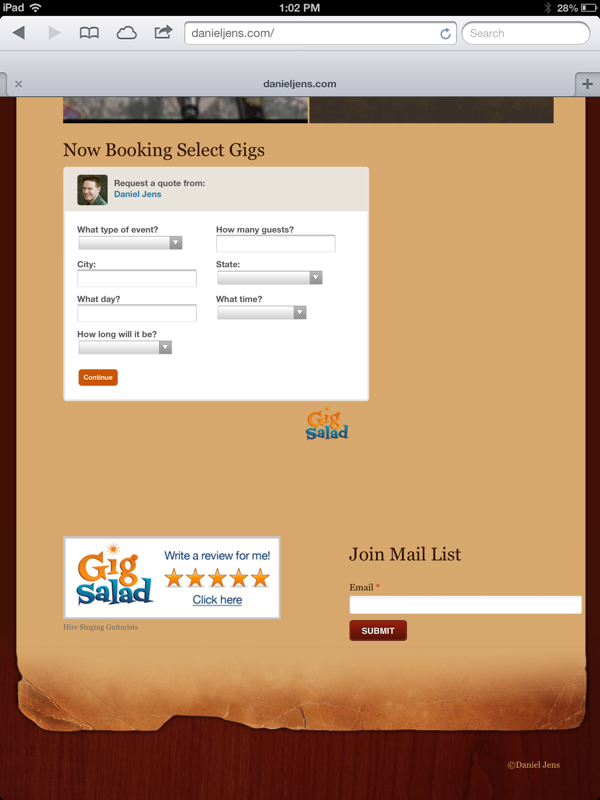 If you are an aspiring musician or look to book talent, go to www.gigsalad.com to see how they can help you too! There is also a review link for anyone who has seen me perform live. I encourage anyone who has seen me play with 4Troops, at church, solo or booked me for a wedding, please go to this link to write me a review. I would greatly appreciate it! I was contacted recently by songwriter, Tom Cox, to help him with a song he wrote about his wife and daughters, called "Thank you for loving me". I helped to improve melody, arrangement and recording. Tom presented the finished version to his wife for Christmas. His wife, Tami, was very pleased with the finished product. I hope to post a clip of the song sometime soon. Tom is looking to work with me to cowrite a different song to add to his demo to shop around to the music industry. If anyone out there is looking for fresh material, let me know! Speaking of fresh material, I&apos;m working on some new original tunes with a group of talented musicians from my church. I hope to have some new music on the site site real soon!! It&apos;s been two full years that I&apos;ve been home with my family without having to travel for a living, and it&apos;s been a blessing! 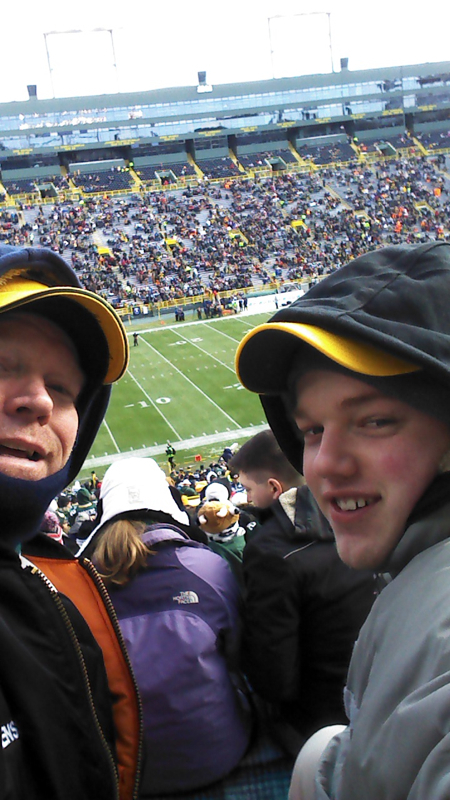 My son Zech and I went to the Packers vs Titans game this past weekend. We had an amazing time! The pack destroyed them - 55 - 7! I&apos;ve been going to school full time since I&apos;ve been home. I&apos;ll be taking the next two semesters off to spend more time with my boys, Nick and Zech, before they go off to college. I also plan on working with a group of talented musicians from our church. I hope to have some new tunes up soon! God bless and Merry Christmas everyone. I really enjoyed myself speaking with y'all! You all had lots of really great questions! Please spread the word and maybe by memorial day I'll bring the guitar and do some real singing and playing! Please send you replys here to this blog instead of the contact form. that way we can talk back and forth. Imagine one of those rounds coming at ya!! Revamping my website to make it more interactive and functional. I hope you like it! I plan on writing a lot in this new blog, so please come back often, comment, share and re-tweet on Twitter and like on Facebook.